The KFW Fashion Awards on Saturday night were the highlight of this year’s Kerry Fashion Weekend, which also included a New Collections Show and Business of Fashion Seminar on Friday. Guest of honour at the weekend, was Ballyheigue born, fashion designer, Don O Neill, who is now creative director of international fashion label Theia (NYC). Judges for the KFW fashion awards were Melanie Morris, Editor of Image Magazine and Chairperson of the KFW judges panel since awards inception in 2009; Liz Greehy, fashion journalist and editor of Stylebible.ie and Lisa Brady, fashion editor, Sunday Business Post. The inaugural Kerry Fashion Weekend (KFW) was held in April 2009. 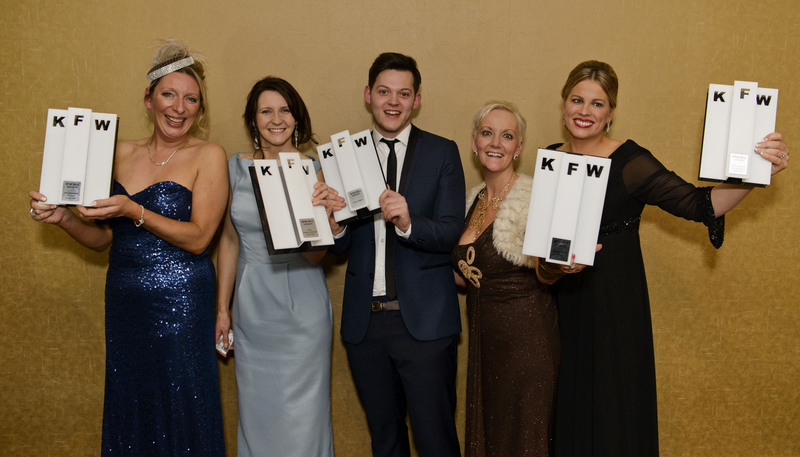 Due to the support of Image Magazine, local and national media, and the fashion industry, KFW is now an established national fashion industry award events and a platform for emerging talent. Official Hair Sponsors: Sean Taaffe Group, official beauty and make up partner: Lancome and official Venue Sponsors: Carlton Hotel Group and Stage Production: Ray Stack Productions.